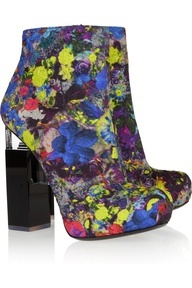 Haute Damn: Nicholas Kirkwood collaboration with Erdem. 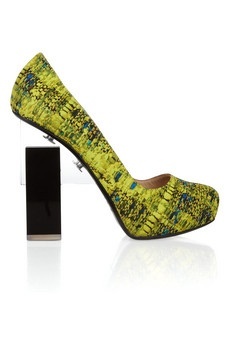 Nicholas Kirkwood collaboration with Erdem. 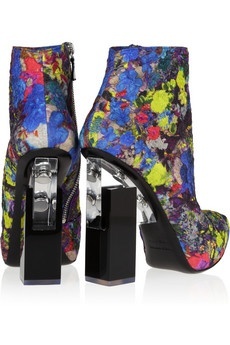 I love nothing better than a good collaboration; so meet my latest shoe fetish by the ever talented Nicholas Kirkwood and king of the prints, Erdem. 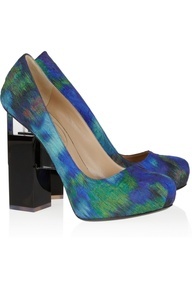 After being introduced by mutual friends, both designers were inspired by the architectural shapes of Le Corbusier to create these quirky, geometric, silk printed heels. 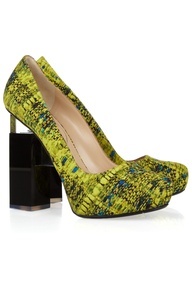 Wear with feminine shapes and fabrics, but try to keep the outfit simple to show off the chunky heel and bold prints. Tip: try contrasting with statement jewellery. Miu Miu inspired shirt collars.